Lock in a great price for Hotel Capital - rated 9.8 by recent guests. Exceptional Staff service. Ines Turcic Welcomed me on arrival.Her classy professional and warm manner impressed me. Would also like to Thank Ivan Gabric,Tomislav Stipetic,Ivan Tabola,Simon Prenkovic,Zeljka Sekerija for making my stay comfortable. Their smiles are priceless. The Hotel is fabulous, very well located and luxurious. Ines, the graveyard shift girl at the reception she is just a doll, super friendly, helpful, nice, kind. I have no words to describe her in full, but Ines is the best Recepcionist EVER!!! Obrigado Ines! The location is fantastic, close to the main square and yet quiet. Rooms are extremely clean and the staff exceptionally helpful. Not to mention the breakfast which was superb. I will consider this hotel as my second home in Zagreb. The hotel is really amazing and very comfortable. It is in the city center. The Interior is luxury, each detail carefully planned. Staff is extremely welcoming and friendly. The breakfast? The best what I spent whatever and it was fantastic, huge choice of food and drinks. The room was big with comfortable new bed, selection of pillows, perfect size bathrooms with all toiletries, complementary champaign and chocolates...I think this is the most perfect hotel in Zagreb. Congrats for the owner and the staff! If I visit again at Zagreb I won't hesitate what I will choose. 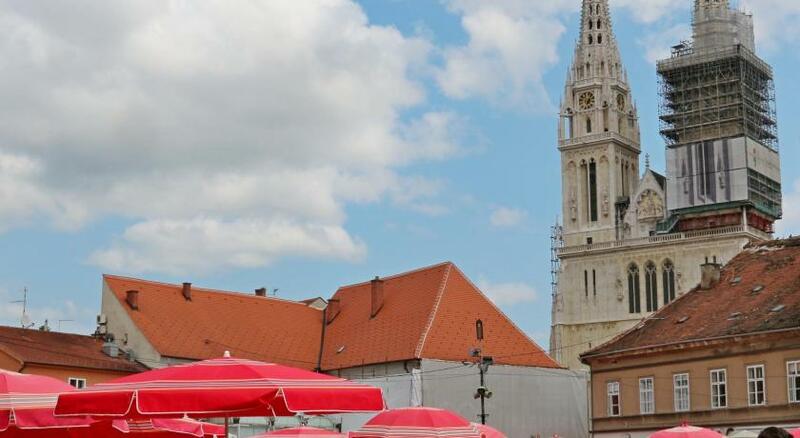 Location was within 5mins walk to centre of Zagreb /shopping / restaurants. We happened to be there for Festival of lights which was very nice, lovely atmosphere. Found the hotel staff very friendly, along with anyone we happened to chat to while exploring Zagreb. Nice selection for breakfast. Our room had all the hotel usually with added extras like small shaving kit and toothbrush & paste. One of our top picks in Zagreb.Located in the heart of Zagreb, a 4-minute walk from Ban Jelacic Square, Hotel Capital offers an a la carte restaurant and a bar decorated with Art Deco and Art Nouveau influences. Free WiFi is available. All elegantly decorated rooms are air-conditioned and equipped with a satellite flat-screen TV and a minibar. Some rooms have a balcony. The private bathroom is fitted with a shower and a hairdryer. Complementary toiletries are at guest's disposal. Guests can enjoy a continental breakfast served daily. The hotel restaurant also provides a varied offer of local delicacies as well as Mediterranean dishes. 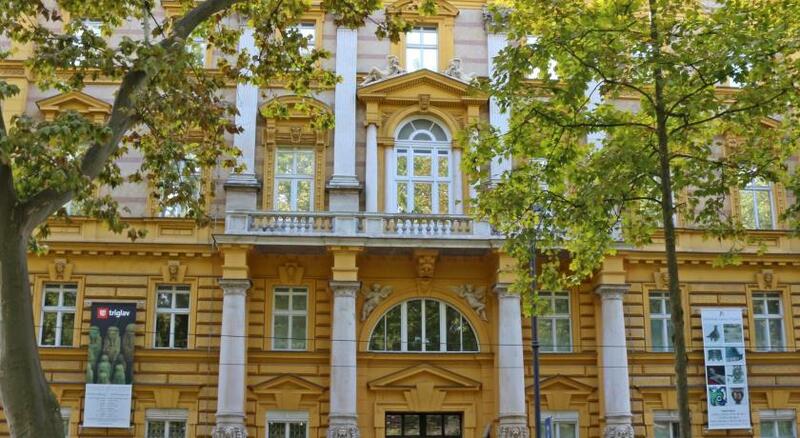 Archaeological Museum Zagreb is a 5-minute walk from Hotel Capital, while Dolac Market is 600 yards from the property. The nearest airport is Zagreb Airport Franjo Tuđman 8.7 miles away. Donji Grad is a great choice for travellers interested in Old Town exploring, architecture and food. 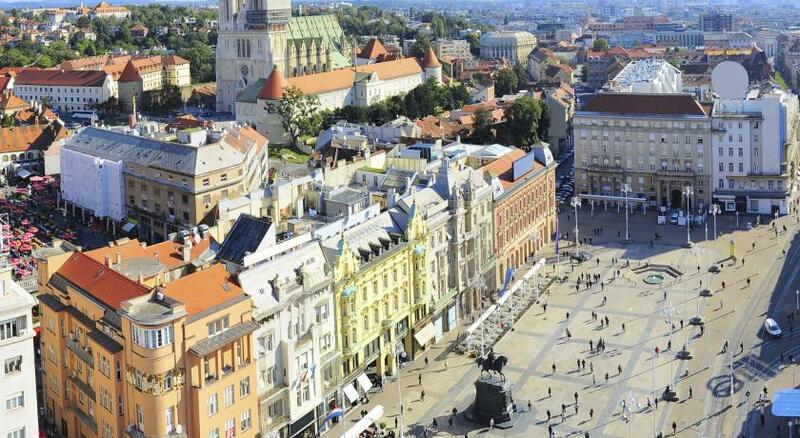 This is our guests' favourite part of Zagreb, according to independent reviews. 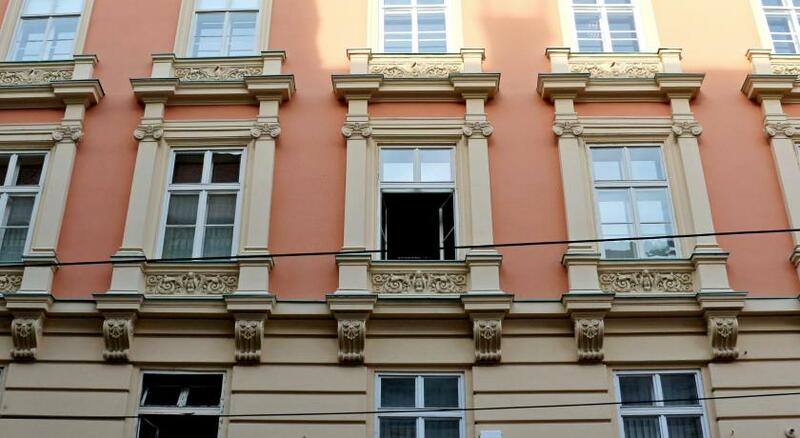 This property also has one of the best-rated locations in Zagreb! Guests are happier about it compared to other properties in the area. Hotel Capital has been welcoming Booking.com guests since 4 Sept 2018. This elegantly decorated room includes air conditioning, a satellite flat-screen TV and a minibar. The private bathroom is fitted with a shower and a hairdryer. Complementary toiletries are at guest's disposal. Private parking is possible on site (reservation is needed) and costs EUR 20 per day. This elegantly decorated room includes air conditioning, a satellite flat-screen TV and a minibar. A balcony is also featured. The private bathroom is fitted with a shower and a hairdryer. Complementary toiletries are at guest's disposal. Hotel surroundings – This neighbourhood is a great choice for travellers interested in Old Town exploring, architecture and food – Check location Excellent location - show map Guests loved walking around the neighbourhood! Cobblestoned streets? Check. Historic monuments? Check. But there's also a distinctive modern vibe to this old town — check out innovative attractions like "The Museum of Broken Relationships". House rules Hotel Capital takes special requests - add in the next step! One of the most picturesque neighbourhoods in Zagreb! No dogs allowed .No Iron and ironing board in the Room. If I was to be really pickey it would be the noise from traffic /tram on the street below. But I feel that has more to do with the fact I live in the country and imagine anyone from the city wouldn't even notice. The atmosphere of the hotel is great! They need to improve the breakfast. Amazing service. Breakfast can be much better. The bed was the most comfortable bed ever and the pillows as well , the staff was professional and very helpful as well . There is absolutely nothing we didn't like about this hotel.